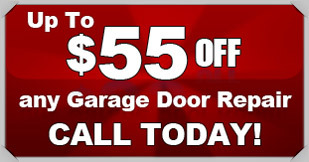 If you need garage door repair in Denison, turn to the professionals at Action Garage Doors. Our full-service garage door repair, installation, and maintenance is just the answer you are looking for. Our experienced garage door professionals understand that a broken garage door can cause considerable interruption at your home or business. We get the job done and fast. That’s why we have established a great reputation in Denison as one of the best garage door repair services in town. Give us a call today and let us help with your garage door. At Action Garage Door, no matter what services you need, we can provide it with exceptional customer service. We can install and repair commercial and residential doors, provide maintenance services, and even help you create the custom garage door you have been dreaming of. We will make sure to conform to any and all permit requirements by Denison. It’s important that you give your garage door an annual inspection and provide regular maintenance. With Action Garage Door, you only have to make one call and we can take that task off your hands. Call to schedule a technician today. If you are in need of garage door services, contact Action Garage Door in Denison and talk to one of our certified licensed contractors about how we can assist you.